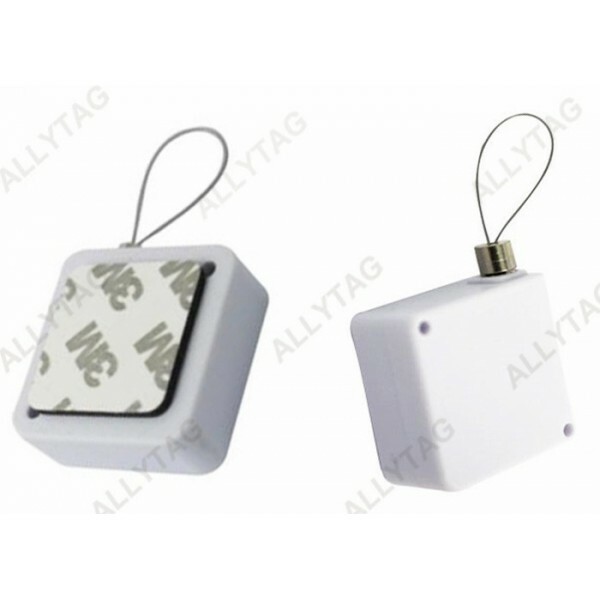 The anti theft security pull box / tether is widely used for merchandise display and anti-lost at retail stores. It is mostly applied on retail items by locking the cable on the merchandise with adjusting the copper pillar on the cable. 3. Wide Range Of Usage. It can be used in retail places such as at supermarket, digital stores, mobile phone stores, digital accessories stores, hardware stores, ipad stores, glasses stores, jewelry stores and so on to avoid stealing while can display and try on the commodities well. 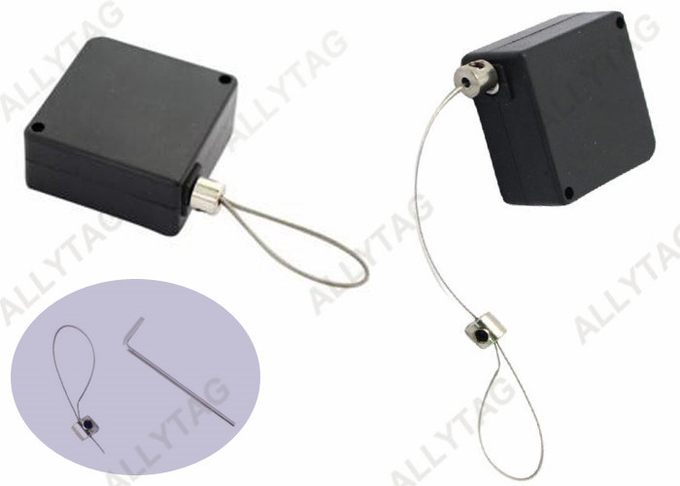 This security pull box has one copper pillar / connector on the metal cable which is for adjusting the hook ring size to be bigger and smaller so that the cable can fit on any commodities for display. There is one 3M tape at the back of the box surface to be fixed on the back of display cabinet. 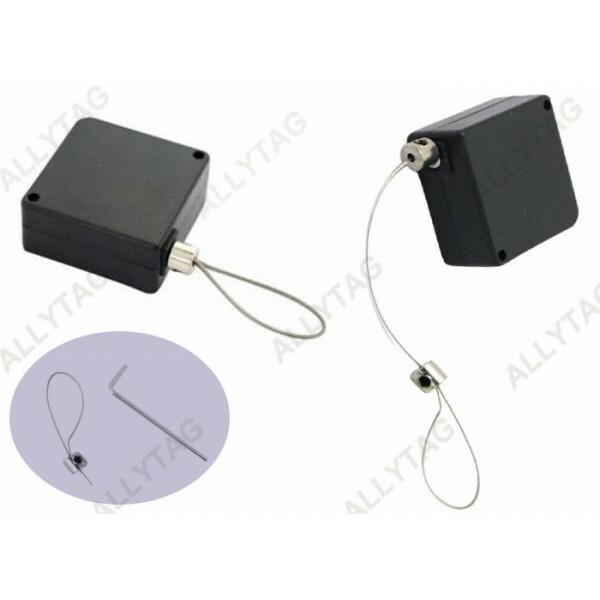 The anti theft security tether is made of ABS plastic, stainless steel cabel and retractable spring. The pull box is cost-saving, easy application and long life usage. No need to manage and reorganize the commodities at the stores that can save a lot of manpower work. 4. Customized design and production. 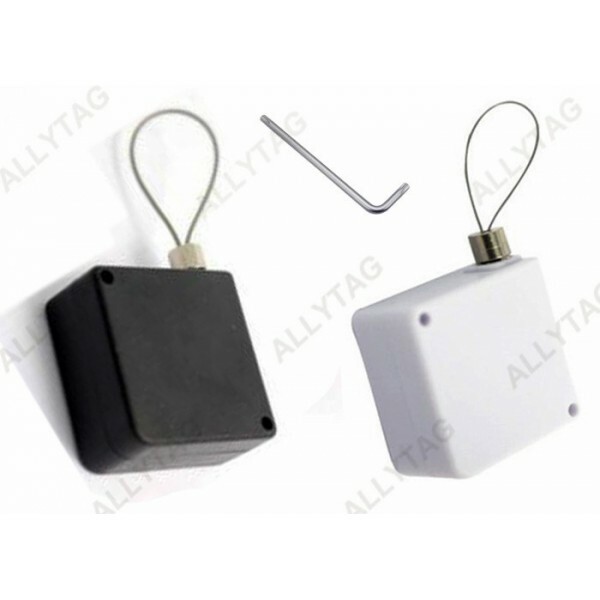 The anti theft pull box can be customized at the connection part according to being used on different commodities. Jewelry, watches, glasses, shoes, handbags, hardwares, digital accessories and variety of commodities. How to disassemble the 3M tape off without leaving stains?